Hello, I’m Stephen Hall. 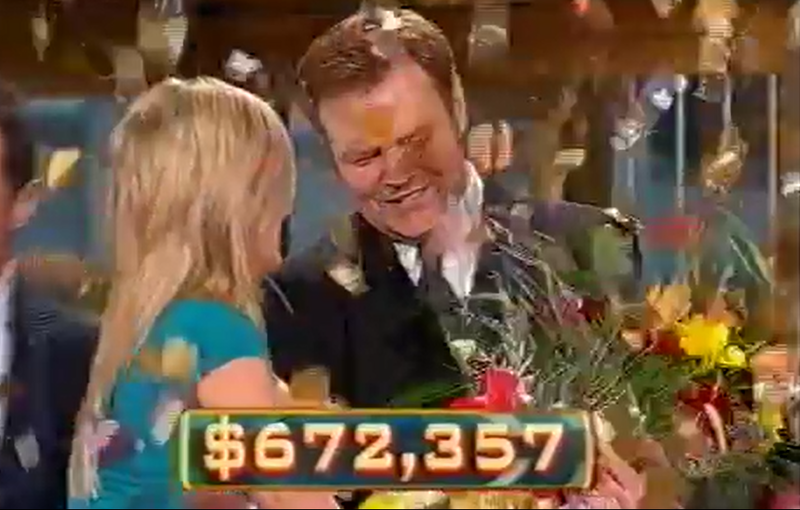 In August 2005, I became the second Grand Champion on the Australian TV game show Temptation. I played (and won) the show on 7 consecutive nights, taking home cash and prizes valued at $672,357, including gold bullion valued at $500,000. Then in February 2006, I competed in Australia’s Brainiest Quiz Master. This was a one-off TV special, pitting 10 former winners of game shows – including Who Wants To Be A Millionaire, Temptation and Sale Of The Century – against each other. We were playing for a prize of $20,000, which would be donated to a charity of our choice. When I won, I chose to donate the $20,000 to the RSPCA. Through this site, I hope to give you some tips if you’re interested in going on game shows, to share my own game show experiences, and to provide a place for sharing ideas and experiences for the game show contestant (and aspiring game show contestant!) community. Oh, and don’t forget my eBook, entitled – surprisingly enough – How To Win Game Shows. It’s over 200 pages of exclusive tips, hints, interviews, anecdotes, and step-by-step instructions that you just won’t find anywhere else. In fact, you can only get it RIGHT HERE! Hey Stephen, Congratulations on winning Temptation. From one game-show fan to another, it’s great to finally have a website like this up and running. I’ve been a game-show fan my whole life (in fact, there’s a running joke in my family, that the first words I said as a child were “Adriana Xenides”. I loved watching you on The Einstein Factor, and I find you hillarious on Mad as Hell, especially Darius Horsham. What’s it like working with Shaun? Anyway, that’s not the reason that I wrote this post to you. I am currently co-running a website/forum, called “Net Game Central”. This is a forum/website where like-minded game-show fans can get together and play game shows online. No prizes are awarded, and people play obviously for the fun of it, and also to meet like-minded individuals from around the world. If you’re interested, you’d be more than welcome to have a look around, and maybe play a few games with our friendly crew. Anyway, it’s great to be able to talk to you, even if you don’t respond. This website is awesome, and I will recommend it to all my friends, and I will post the main website link on my forum. Net Game Central sounds brilliant, and I look forward to visiting it and having a look around, just as soon as I get a chunk of spare time… After I’ve done so, and have a better idea of what it’s all about and how it works, I’d be only too happy to give it a mention on the RESOURCES page of this site. Thanks again for your kind words, and it’s good to see that Game Show torch is burning bright. You’ve made my day! I’ve been a fan since your days on overnight community radio in the ’90s. I was a very sleep-deprived teenager back then – never missed a show! Oh, thank you very much, Kerrie! It’s reassuring to hear that we weren’t doing all that ridiculous stuff just for our own amusement… Thanks again for your kind words, and I hope the insomnia’s cleared up by now. Thanks man…. X 2! Yes, I’ve been running this site for four years now, and hopefully it’s doing some good.